Last week, I came across an interesting piece by Jan Dawson about self-driving cars. In it, he argued that Tesla's (and possibly Apple's) approach of incremental improvements in automation was vastly superior to Google's goal of achieving full automation. His primary argument is that consumers need to purchase and experience semi-autonomous vehicles before they can trust the technology enough to purchase fully autonomous vehicles (especially given the likely cost of purchase). While this does appear to make some sense, there is a key flaw in this argument. The goals and business models of companies following these two approaches are dramatically different. What do Tesla (and potentially Apple) want out of autonomous car technology? At least, in the short term, their goal is to sell more cars to consumers. What approach fits best with that goal? Incrementalism -- in other words, making sustaining improvements to their existing product to grow sales volumes and average selling prices. And as Jan rightly pointed out, consumers are unlikely to trust the technology behind fully autonomous cars right off the bat. Therefore, striving for incremental improvements in autonomy makes perfect sense for business models dependent on hardware sales. What about companies like Google and Uber? Each has made a significant investment into autonomous vehicle technology, but neither has any interest in any part of the automobile distribution value chain. Google has famously eschewed the paid software licensing model, so any assertion that Google plans to charge car companies for using their software must be viewed with skepticism. Meanwhile, Uber's business model is entirely aimed at reducing car ownership. An incremental approach (starting with semi-autonomous vehicles) would make absolutely no sense for either company. Why would Uber care about the driving experience of cars on its ridesharing service? What does Google gain from the sales of self-driving cars? 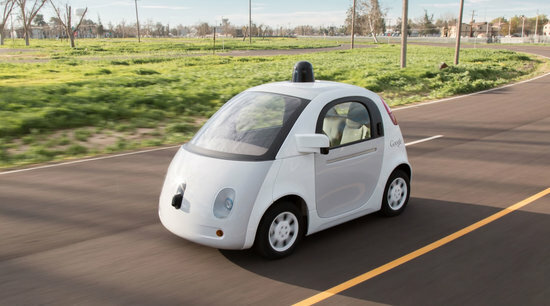 Even if Google robot cars rely on Google services, consumers would not. According to press reports, Google plans to monetize their self-driving car technology through a ride-sharing service which is more consistent with their services-oriented business model. Meanwhile, Uber's goal would be to head-off any potential disruption to its business model, one that relies on the network effect between drivers and riders (fully autonomous self-driving cars -> no drivers -> no network effect -> no competitive advantage). Full autonomy is the only feasible approach here because semi-autonomous vehicles have no impact on the network effects that exist on today's ridesharing services. Google would have no hope of attracting drivers (the fundraising activity of ridesharing companies should give us some hint about the investments required to attract drivers). From Uber's point of view, semi-autonomous vehicles would not pose any sort of defense against the disruptive threat from a ridesharing service with driverless cars. Chasing full automation is absolutely the right approach for services companies because their eventual goal is to disrupt the existing model of car ownership, not to sustain it. What about trust? Don't consumers still need to trust self-driving car technology to use these services? Yes, but it isn't nearly as important because of the costs involved. The level of trust required to make a $100,000 car purchase is dramatically higher than for a $20 self-driving car ride. There will be no shortage of early adopters willing to try these "low cost" services at least once. Once that barrier is crossed, their popularity will be entirely dependent on rider experience and word-of-mouth. Of course, a positive rider experience is far from a guarantee but that entirely depends on the quality and reliability of the technology and data (in other words, combined driving experience of the algorithm's "hive mind"). Rider experience and word-of-mouth will have little to do with pre-existing notions of consumer trust. To summarize, my counter argument truly demonstrates the importance of studying a company's business model before assessing the efficacy of its strategy. Analyzing a services company through the lens of a hardware-based business model can only lead to flawed conclusions.